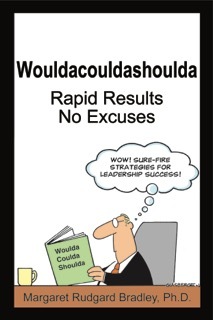 Wouldacouldashoulda is a book that fuels super-sized success. Get great outcomes in record time by zapping excuses before they become roadblocks. Create norms that foster success.